REYNOLDSBURG, OH – Everyone in Reynoldsburg and Pickerington knows the recent history of the Battle of 256. The last time the Raiders beat the Tigers was on the night of August 24th, 2001: a 30-14 win at Crew Stadium in the season opener for both teams, and during a moment in time when Pickerington Central was just known as Pickerington High School and Pickerington North High School did not yet exist. Reynoldsburg would finish that 2001 regular season with an 8-2 record, clinch their first playoff berth ever, open the playoffs that year on their home field, and win their first and only playoff game in school history. That last win over Pickerington, who would become Pickerington Central two years later in 2003, would seem like an eternity ago going into Senior Night and the next edition of the Battle of 256. Reynoldsburg entered Week 9 of their 2018 season having lost to the Tigers for the next 16 straight years, and 6,264 days had passed since that night at Crew Stadium. Heartbreaking moments at the expense of the Raiders, particularly the infamous Saturday go-ahead extra point in 2012 and the late 52-yard go-ahead field goal in 2015 by Pickerington Central, were parts of this 16-game losing streak for Reynoldsburg. In these 16 losses, Reynoldsburg would lose to the Tigers by an average of 20.1 points, including a combined margin of defeat of 113-49 in the previous three seasons for the Raiders’ 2018 senior class. But when it was all said and done on October 19th, 2018, 6,264 became zero on a Senior Night that will forever be a part of Reynoldsburg history. The Raiders (8-1, 3-1) raced to an early 14-0 lead and would lead by ten in the third quarter before Pickerington Central (7-2, 2-2) scored 14 unanswered points to take a 21-17 lead over the Burg with 7:45 to go for their first lead of the night. This time, Reynoldsburg would not be denied, and senior receiver Camby Goff would eventually catch his second touchdown pass of the night from 23 yards out a few minutes later from Raiders quarterback Michael Whatley to put the Raiders back in front by three for the game’s final points. The Raiders defense would then stop the Tigers deep in their own territory, eventually ice the game on offense after a couple of officials’ measurements that seemed like an eternity, and Reynoldsburg would knock off the defending state champions by a score of 24-21 for their first win in the Battle of 256 since 2001. And if this win over Pickerington Central on Senior Night wasn’t already crazy enough, so much was written in the history books for Reynoldsburg at the conclusion of Week 9. The senior class capped off an undefeated regular season at home for the second year in a row by going 4-0 at Raider Stadium in 2018, going 16-3 overall at home over the last four regular seasons, and clinching their third playoff berth in school history (2001, 2015, 2018). Even more, the Raiders completed a Pickerington sweep by defeating both North and Central in the same regular season for the first time ever, and would eliminate 12-time defending OCC-Ohio champion Central from contention for another division title: a crown the Raiders are now one win away from obtaining for the first time since 1993. Most importantly, the Raiders and particularly this senior class guaranteed themselves a 20th game in the Burg, as they would clinch a Top 2 seed in Division I Region 2 and a first-round home playoff game for the first time since that 2001 season. After a fast start by the Burg on Senior Night and another exciting 4th-quarter comeback at home against a team from Pickerington in the same season, it is only fitting that the Raider faithful will get to see their historic and beloved team one more time at the Livingston Avenue Campus of Reynoldsburg High School in Week 11. Reynoldsburg received the opening kickoff at their own 24, and the Raiders would move the chains for the first time three plays into their opening drive after the Tigers were called for pass interference with 10:46 left in the opening period. The Raiders would punt four plays later to give Pickerington Central the ball for the first time with 9:49 left in the period at their own 16. Tigers running backs Jamir Jackson and Lance Matthews would run for a combined 48 yards and three first downs in four straight plays, and Reynoldsburg would quickly call their first timeout with 8:32 left in the period and the ball on the Raiders 40. But whatever was said in the timeout certainly helped settle Reynoldsburg in. While Reynoldsburg would be called for a defensive penalty after the timeout to bring up 1st and 5 for the Tigers at the Raiders 35, Central would be stuffed on four straight plays afterwards, including a tackle of Tigers quarterback Demeatric Crenshaw for a two-yard loss by Raiders defenders Breyon Eddings and Jay Amburgey, and freshman Keyshaun Slaughter forcing a turnover on downs on the Raiders 33 after tackling Crenshaw one yard short of the first down marker. Three plays later on 3rd and 10 from his own 33, Whatley would find himself under pressure, run towards the Pickerington Central sideline, and find a wide-open Goff all alone deep in Tigers territory. Goff would make the easy catch on Whatley’s deep throw, and run uncontested into the end zone for a 67-yard touchdown reception to put the Raiders up 7-0 with 5:00 left in the opening quarter on Senior Night. And the fired-up Raiders were not done yet. Three plays after a 15-yard catch by Tigers tight end DeWayne Carter on 3rd and short for a Tigers first down, senior linebacker Dez Cooper would burst up the middle for a sack of Crenshaw that resulted in a 7-yard loss for the Tigers, and Pickerington Central’s next pass was incomplete to force a punt from their own 28 yard line. But senior linebacker Darien Abron of the Raiders would block the ensuing punt and send the ball back all the way to their own 6 yard line with 2:02 left in the 1st quarter, resulting in a quick first and goal for the Burg. Two plays later, Cooper would rush for five yards and a Raiders touchdown to give Reynoldsburg a 14-0 lead after one period of the Battle of 256. On the first play of the second quarter and with the Raiders defense on the field, Amburgey would sack Crenshaw to force a punt by Pickerington Central. Reynoldsburg’s offense would take over at their own 31 yard line, but after three plays and on 3rd and 5, Whatley’s pass was intercepted by Tigers defensive back Terry Simuel as the Raiders quarterback made a running throw towards the Reynoldsburg sideline. With 9:48 left in the second period, the Tigers would take over at the Raiders 44 as a result. They would convert a 4th and 1 with an 8-yard run by Jackson, and after calling timeout following a holding penalty just under four minutes into their drive, the Tigers would cash in off of Reynoldsburg’s turnover. Crenshaw would complete a 21-yard pass to receiver Lorenzo Styles Jr. that looked like it was going to be caught just out of bounds, but both toes barely landed in play in the end zone to put the Tigers on the board and cut the Raiders’ lead to 14-7 with 5:48 left in the quarter. Both teams would go three and out on their next drives, and would each manage a single first down for the remainder of the half, as the Raiders took a 14-7 lead into the locker room to cap of a productive first half on Senior Night. Pickerington Central would receive the second half kickoff, take over at their own 20, and advance to midfield on their first play from scrimmage of the third quarter on a 30-yard run by Jackson. The Tigers would barely get any further and would punt four plays later, giving Reynoldsburg the ball back at their own 21 just over a minute into the period. The Raiders offense started the second half with a bang, as senior running back Guy Cowans-Wright would dodge virtually every Tigers defender en route to a 72-yard run before being tackled at the Tigers 7 yard line near Pickerington Central’s sideline. While the Raiders would burn a timeout prior to an incomplete pass in the end zone on 3rd and goal from the 7 and would advance no further, this would set up a 24-yard field goal by Reynoldsburg kicker Cocy Goff with 8:47 left in the period to extend the lead to 17-7 and two scores. Even though it wasn’t a touchdown, those three points for Reynoldsburg still ended up immediately being huge. Pickerington Central would fumble the ensuing kickoff at their own 25 yard line, but Jaquwon Crawford of the Tigers would recover it, escape the Raiders special teams, and would run the ball 75 yards untouched to the house for a touchdown to quickly cut Reynoldsburg’s lead to 17-14 with 8:29 left in the quarter. Leading by only three, the Raiders would get the ball back at their own 20. Cowans-Wright would rush for 8 yards and a first down, and fellow senior running back J’Vonte Edwards would escape being grabbed by the jersey by two defenders for an amazing 13-yard run on 3rd and 12 and another Reynoldsburg first down with 6:22 left in the quarter to put the ball on the Raiders 44. Whatley would then throw deep for senior receiver Mershawn Rice who ended up getting a step ahead of his defender, but Rice could not hang on to the ball on what would have likely been a 56-yard touchdown pass and reception. Edwards would then burst for an 11-yard run into Tigers territory for another first down, but the Raiders would ultimately come up empty and punt despite taking five minutes off the clock, and Pickerington Central would take over at their own 8 with 3:57 left in the period. The Tigers kept the ball on the ground the rest of the period, beginning their ensuing drive with a 20-yard rush Matthews, and then following up with three consecutive 8-yard runs by Jackson to get into Raiders territory with 2:15 left in the quarter. The next four plays featured four different runners for Pickerington Central, as Matthews would end the period with a 2-yard rush to the Raiders 27 yard line. Reynoldsburg’s defense would face a 2nd and 8 as time expired in the period with the home team up 17-14 on Senior Night. Pickerington Central would pick up right where they left off, continuing to keep the ball on the ground for the remainder of the drive. The Tigers would go for it on 4th and 2 from the Raiders 21, and Jackson would rush for 5 yards to move the chains to the Raiders 16 with 10:35 to go, and rush 7 yards for another first down three plays later on 3rd and 5 to bring up first and goal from the Raiders 4 for Pickerington Central a minute later. On 3rd and goal from the 1, the Tigers would take their first lead of the night on a 1-yard touchdown run by Matthews with 7:45 to go. In bizarre fashion, the Tigers would miss the extra point the first time, but the Raiders would be called for a penalty on the attempt. The Tigers would get a second chance, send the next extra point attempt straight down the middle of the uprights, and Reynoldsburg would ultimately trail 21-17. The Raiders would quickly get stuffed on the ground and go three and out on their next drive, and a team that had lost 16 straight meetings to Pickerington Central gave the ball back to the Tigers at their own 12 with 6:08 to go and leading by four points over the Burg. Just like that, the Tigers regained all of the momentum late, and it seemed like this game was headed for an eeriely-similar heartbreaking ending that this Reynoldsburg senior class saw as freshmen in 2015. Late in that year’s contest three years ago, Pickerington Central trailed by two to the Raiders on their home field, but kicked a go-ahead 52-yard field goal with 2:20 left in that contest to go up for good in a 29-21 victory over the Burg. But even despite Pickerington Central’s clear psychological advantage given their winning streak over the Raiders, Reynoldsburg stood mentally strong, kept believing in themselves, and were determined to take back the trophy for the Battle of 256. Jackson, who finished with a game-high 18 carries and 125 rushing yards for Pickerington Central, fumbled the ball on the first play of the Tigers’ ensuing drive on a tackle by Reynoldsburg senior Jeremiah Burton. Camby Goff would recover the fumble at the Tigers 16 with 6:05 to go to electrify the Raiders sideline and packed home crowd. Two plays after the Raiders offense took over, and with the Raiders offense pushed back to the Tigers 23 after a false start penalty, Whatley would throw a strike and a 23-yard touchdown pass to Goff that was caught in the back of the end zone with 4:52 to go, giving Reynoldsburg an improbable 24-21 lead and what ended up being the game’s final points. Just two weeks ago, Whatley was pulled in the second half of the Raiders’ 10-7 loss at Gahanna-Lincoln, but has continued to make clutch plays and take care of the ball in the biggest of situations. Even though his final stat line was 3-for-9 in the air overall against the Tigers, more than half of Whatley’s incompletions were long throws that were perfectly placed, but ultimately not hauled in due to extremely tight coverage by Pickerington Central’s secondary. He also took care of the ball very well, as Whatley was not sacked a single time against the Tigers and bounced back from his early interception, much to the delight of his head coach. With Pickerington Central on the ropes and the Raiders having all of the momentum, the Tigers would be driven backwards on their first two plays, throw an incomplete pass on 3rd and long, and would ultimately punt the ball away for what ended up being the final time, giving Reynoldsburg the ball back for good with 3:01 to go at their own 47. However, this game was still not over as Pickerington Central had all three of their timeouts. Cowans-Wright would run for 6 yards and then 1 yard to the Tigers 46, with Pickerington Central burning timeouts after both of these plays with 2:53 to go. A 3rd and 3 run by Cowans-Wright that likely would have sealed the game appeared to be enough for a first down, but the officials stopped the clock for a measurement that was ruled just short of the marker, enabling the Tigers to hold on to their final timeout with 2:44 to go and the Raiders offense facing 4th and 1 at the Tigers 44. Reynoldsburg would run the clock all the way down to 2:16 and call timeout, but would leave their offense on the field with the hopes of icing the game and preventing the Tigers from having a chance to possess the ball again. And on fourth down with the game on the line following the timeout, Cowans-Wright would then rush for what looked like that one yard, if not more. But with it being such a big play, the officials would stop the clock to measure yet again with 2:11 to go and again preserve Pickerington Central’s final timeout. But after the measurement, the edge of the football was just beyond the first down marker, and Reynoldsburg was awarded the huge first down by a matter of inches. On 1st and 10 for the Raiders, the Tigers defense would stuff Cowans-Wright for a yard to force Pickerington Central to finally use their final timeout with just over two minutes to play. But on 2nd and 9 from the Tigers 42, Cooper would appear to rush for all 9 of those yards to force yet another measurement by the officials in front of an anxious yet excited Reynoldsburg home crowd. For roughly 60 seconds, you could hear a pin drop in the completely packed Raider Stadium, as the officials huddled together and eventually ran onto the field with the down markers in their hands and in the direction of the Raiders fans who have not seen their team take down Pickerington Central in over a decade and a half. But just like the last measurement, this one would move the chains, and with no timeouts left for Pickerington Central, the Raiders were able to run out the clock. When the clock struck triple zeros, 16 years and 6,264 days of anguish disappeared in an instant as the Raiders finally found themselves in front of the Tigers when it mattered most. Students, band members, and Raider faithful erupted onto the home field to cap off a historic 24-21 Senior Night victory for Reynoldsburg. Some players on the Raiders weren’t even born the last time Reynoldsburg won in the Battle of 256; a lot of these seniors such as Amburgey, who finished the game with 1.5 tackles for loss and one of the Raiders’ three sacks, had attended lots of football games at Raider Stadium when they were younger, including a lot of those losses to Pickerington Central over the past 16 years. How fitting it was for this group of 26 seniors to finally get a win over the Tigers on their Senior Night. While they overcame arguably their biggest psychological barrier by winning against Pickerington Central and guaranteeing themselves a home playoff game, the Raiders know they have to get back to work with their goals still in front of them. 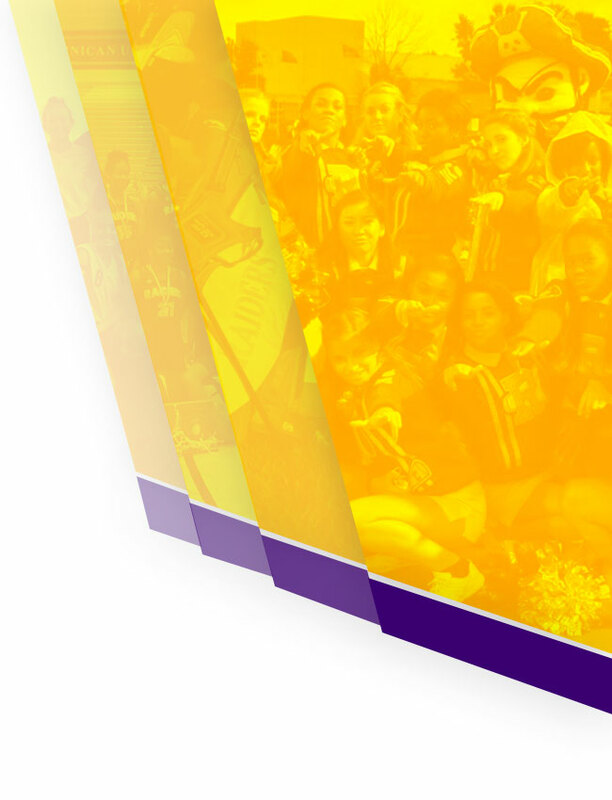 But this incredible momentum could not have come at a better time for Reynoldsburg. They will certainly go into Week 10 hungry to close out their historic regular season on a high note by winning a division title, and most importantly, continue to get better as the postseason awaits them. Not only did the Raiders’ streak of 16 straight losses to Pickerington Central finally come to an end in Week 9, but also a dominant streak of 12 straight OCC-Ohio division titles for the Tigers. Reynoldsburg (8-1, 3-1) defeated Pickerington Central (7-2, 2-2), and after Lancaster (6-3, 4-0) won their sixth straight game after an 0-3 start with a 35-21 win at Pickerington North (5-4, 1-3), both teams from Pickerington were eliminated from OCC-Ohio title contention at the conclusion of Week 9. Gahanna-Lincoln (5-4, 2-2) cruised to a 62-6 win at Grove City (0-9, 0-4), but both the Lions and Greyhounds were also eliminated in the division race. How about a Thursday Night Lights regular season finale for Reynoldsburg and Lancaster with a division title on the line? While the Gales are guaranteed at least a share of their first division crown since 2007, a win by the Raiders at Lancaster in Week 10 will give Reynoldsburg a share of the division title and their first OCC-Ohio crown since 1993. Welcome back to the postseason, Reynoldsburg! Per Joe Eitel’s unofficial computer rankings as of 10/19/2018, Reynoldsburg not only clinched their third playoff berth in school history and first since 2015; they clinched a Top-2 seed and are therefore guaranteed a home playoff game to open the 2018 postseason. The last time the Raiders opened the playoffs at home and won a playoff game was in 2001, when the Raiders defeated Worthington Kilbourne by a score of 24-20 in the first round before losing to Dublin Coffman by a score of 28-14 in the second round on November 10th, 2001. Seventeen years later, Dublin Coffman also will be opening up the 2018 postseason at home as a guaranteed Top-2 seed, after bouncing back from their first loss of the season with a 51-6 win at Westland in Week 9. In other words, no matter where the Raiders and Shamrocks end up after Week 10, both teams will open up the playoffs at home and on opposite sides of the Division I Region 2 bracket. Gahanna-Lincoln remained at #3 with a big 62-6 win at Grove City, and Toledo Whitmer rose two spots to #4 after their Week 9 win; per Joe Eitel, these two teams are each guaranteed playoff spots with wins in Week 10. Olentangy Liberty fell one spot to #5 after a 17-3 loss at home to Olentangy Orange, who rose to #7 as a result. Westerville Central fell one spot to #6 despite winning 35-23 at Westerville South, and Upper Arlington rose two spots to #8 as the last team in the playoff picture if the regular season ended today with a 24-7 win at home against Central Crossing. Below are the unofficial rankings of teams in Reynoldsburg’s playoff region, along with the teams’ corresponding records and computer averages compiled by Joe Eitel, and their change in ranking from the previous week (e.g. +2 means that a team moved up two spots in ranking from the previous week). The Top 8 teams after the regular season next week (Week 10) will qualify for the playoffs, and the Top 4 teams would open up the playoffs on their home field. While the Raiders are guaranteed a home playoff game in their postseason opener on the night of Friday November 2nd, 2018, their opponent will not be determined until the conclusion of Week 10 given the tight race for the remaining playoff spots. Given Reynoldsburg’s Thursday night contest in Week 10, the Raiders’ first-round postseason opponent will not be determined until at least 24 hours after the conclusion of their game at Lancaster, as everyone else will be playing on Friday night. 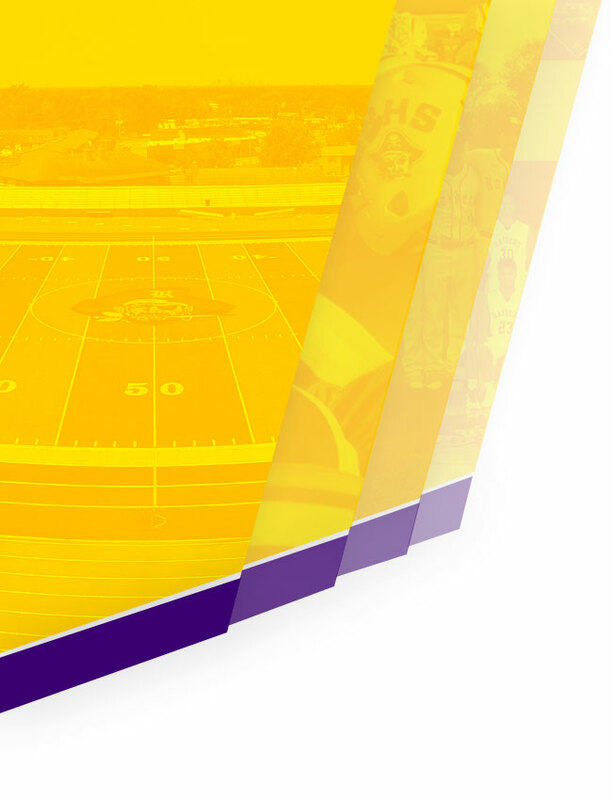 If the season ended today, however, 1st-seeded Reynoldsburg would open the playoffs at home against 8th-seeded Upper Arlington in what would be a rematch of the 2018 season opener for both teams. The Raiders beat the Golden Bears 17-14 on the road in Week 1. Reynoldsburg will return to the Top 10 of the Ohio AP Division I Football Poll with their big win over Pickerington Central. With their third playoff berth in school history and a home playoff game secured, history will still be on the line for the Raiders (8-1, 3-1) when they travel to Lancaster (6-3, 4-0) for their regular season finale. There is also a lot on the line for the Gales in what will be a contest broadcast on television via CW Columbus’ Thursday Night Lights. A win for the Raiders in Week 10, according to Joe Eitel, would not only guarantee Reynoldsburg the #1 seed in their playoff region over Dublin Coffman; they would earn a share of the OCC-Ohio division title with Lancaster for what would be the Raiders’ first division crown since 1993. Reynoldsburg would also finish their 2018 regular season at 9-1 with a victory at Lancaster, and this would be their best regular season finish in school history of the playoff era and best overall since Reynoldsburg’s 10-0 regular season finish in 1961. Although the Gales have won six straight games and could win the OCC-Ohio division title outright with a win over the Raiders in Week 10, they are ranked 9th and outside of the playoff picture in their region. They would need a win over the Raiders and help from across the state of Ohio to secure a playoff berth. A loss by Lancaster to the Raiders would likely eliminate the Gales from playoff contention, but the Gales are no stranger to this exact scenario and will bring everything they have on Thursday Night Lights while riding a six-game winning streak. On October 28th, 2016, with a postseason berth on the line, the Gales defeated Reynoldsburg 42-27 at Fulton Field to eliminate the Raiders from playoff contention, and Lancaster would ultimately clinch the 8th and final playoff spot in their region as a result. The last time the Raiders and Gales played on Thursday Night Lights on October 15th, 2015, Reynoldsburg won 49-42 at home in a triple-overtime thriller to stay alive for what end up being their second playoff berth in school history. Kickoff is at 7:00pm on Thursday 10/25/2018 at Lancaster High School’s Fulton Field. There is no school for students at Reynoldsburg High School the following day (Friday 10/26/2018) as this is a Teacher Inservice Day. 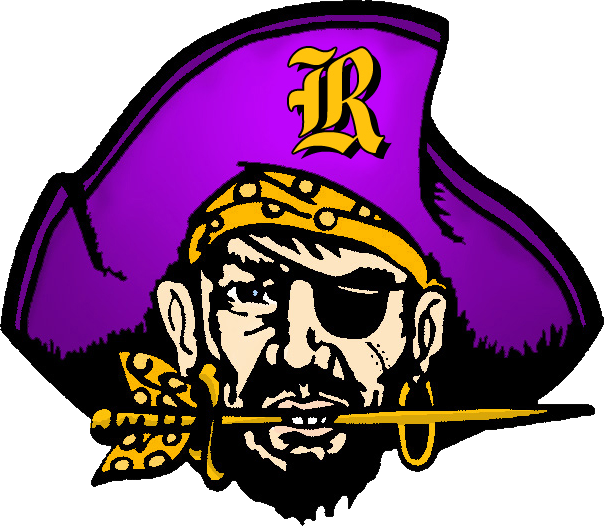 Follow @ReynoldsburgFB on Twitter for play-by-play updates during game days and all things related to Reynoldsburg Raiders Football.